A 2014 Dartmouth College graduate, Henry joined NE Distance in the fall of that same year. While at Dartmouth, Henry ran to All-New England status in cross country while also competing at the NCAA Division I Cross Country Championship meet his senior year. He also ran at the NCAA East Preliminary Meet on three occasions: all in the 3,000 meter steeplechase. Henry chose to join NE Distance to hone his steeplechase skills while continuing to compete in cross country and sharpen his mile and 5,000 meter times on the track. In his first year with NE Distance, Henry stuck to his plan and left a remarkable impact, finishing 5th in the USATF New England Cross Country Championships. In 2015, he took home the USATF New England Cross Country title, winning in 30:16 at Franklin Park. On the track, Henry has lowered his Mile PR down to 4:03.33 and nearly broke 8:00 in the 3,000 meter run, running 8:00.9 at the John Thomas Terrier Invitational at Boston University in 2016. Henry also claimed the 2015 USATF New England Indoor 3,000 meter crown. 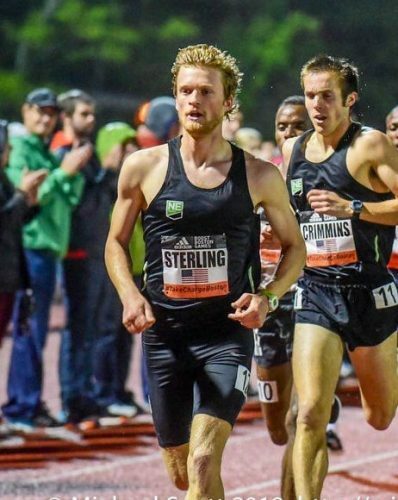 However, his steeplechase time has had the most improvement during his NE Distance career: he has cut off 17 seconds from his last 3,000 meter steeplechase with Dartmouth. His 8:39.27 run at a Princeton University meet just left him on the outside looking in for the 2016 U.S. Olympic Team Trials. However, his progress has kept him motivated to continue training hard. Henry has a lot of experience working with youth, either through peer mentoring or through Dartmouth’s Big Green Readers. He sees NE Distance as a way to continue to be able to reach his athletic goals while preparing for his career goal to become a teacher.